Any shower cubicle to some extent is built-in equipment that does not imply easy and quick replacement. Therefore, an error in choosing the right type of device at best means that, until the next repair, its usability will remain a big question. 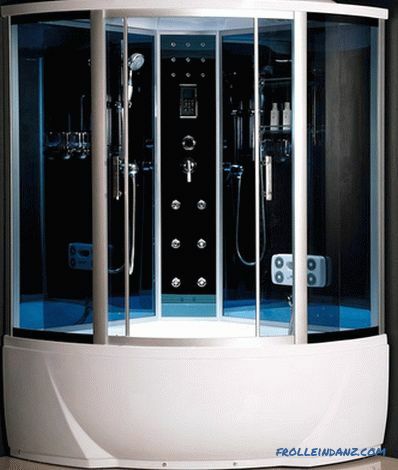 Select a suitable brand and type of device will help the rating of showers for quality, based on customer reviews, who use them not the first day and identified for themselves a list of their advantages and disadvantages. This type of shower enclosure got its name due to the lack of a “ceiling” - the upper part of the structure. This reduces the cost of the device as a whole, but does not allow the use of some popular features, such as the Turkish bath or aromatherapy. These models will lead the rating of shower cabins if the simplicity of the design and the minimum space required for installation will be evaluated. Open double wing shower enclosure with a low quarter-round shower tray. Equipped with a mirror, shelves, a classic mixer and a watering can for a tropical shower. Transparent glass sliding doors. The space inside the cabin does not hinder movement while taking a shower - you can freely turn under the tap, without fear of hitting your elbow on a shelf or mirror. Sliding doors close tightly without splashing into the bathroom. Durable and deep acrylic tray - withstands the weight of even a densely built person without problems. It has the function of a tropical shower, which is considered to be the prerogative of closed and combined showers. In general, the high quality of the components — assuming proper installation is a guarantee of the long service life of the shower stall. 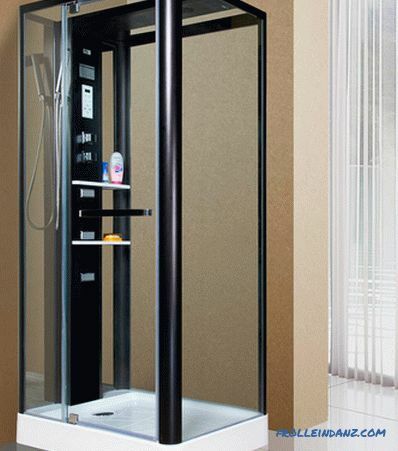 Fully transparent shower doors - depending on the preferences of the owners, it can be either a piquant advantage of the model or its disadvantage. 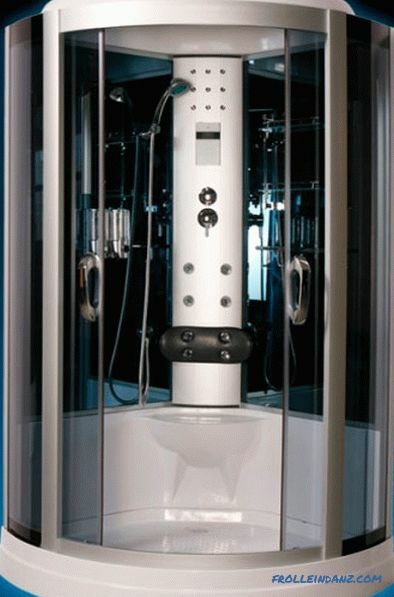 The tropical shower system requires the skills to install such equipment - in most cases, a guarantee for a shower stall is preserved only when it is installed by service center specialists. 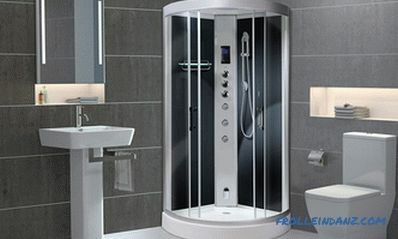 Since the manufacturer manufactures shower cubicles in various modifications, it is necessary to check the equipment and specifications with the seller when purchasing. AM. PM Like L will be a worthy choice if necessary to save space in the bathroom and the desire to install a shower stall from one of the market leaders. 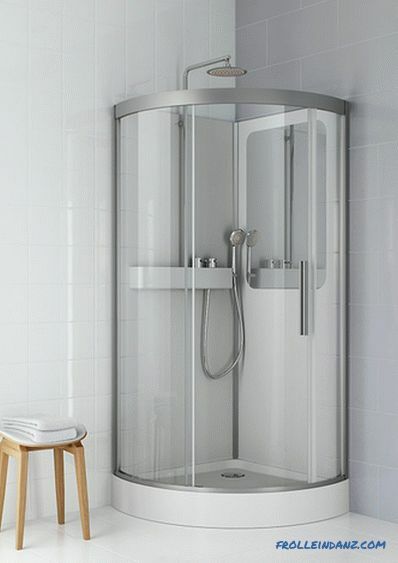 Quarter-circle open shower cubicle with full-wall partition and translucent glass of double-leaf sliding doors. Equipped with standard faucet, shower watering can and shelf for bathroom accessories. Simplicity. 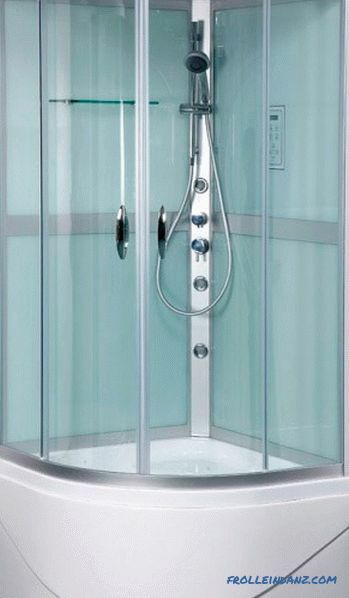 The shower cabin is equipped with only the usual minimum of equipment, which even a person who does not like modern equipment can easily understand. The dimensions of the device make it possible to install it in small rooms, but at the same time taking a shower is quite comfortable - the shelves and the faucet are arranged so that they are difficult to hook while bathing. 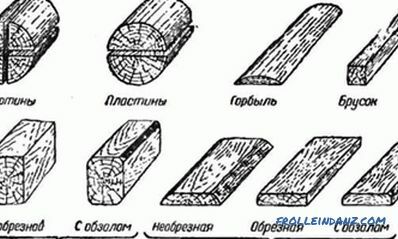 Quality materials - after assembly no extraneous smells or backlashes are observed in the joints. As the door used tempered glass. The mixer is based on the usual "little sheep" - in case of a breakdown they are easy to replace with a new one. Easy door opening, but at the same time the locking mechanism prevents their spontaneous opening. If do not take into account the subjective assessment associated with the "budget" of the equipment, buyers do not notice any significant shortcomings. 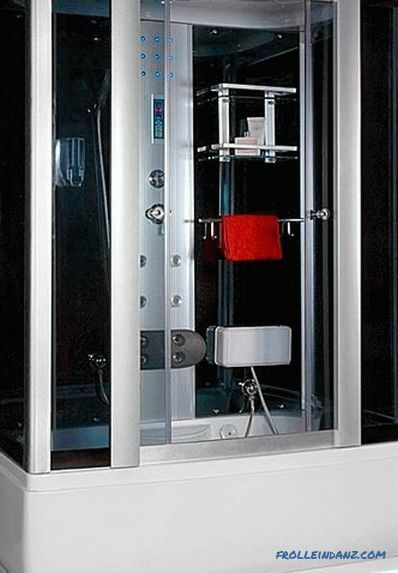 A shower stall for those customers who need a simple, compact, inexpensive and high-quality device without an abundance of additional functions. Premium open-type shower cubicle with full-wall fence and multi-faceted pan shape. The passage inside is through a single sliding door. The package includes shelves for bathroom accessories and a shower watering can. 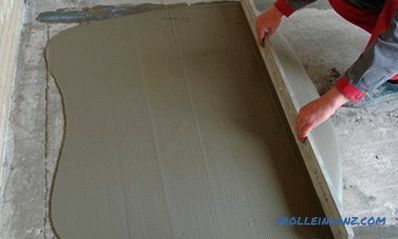 Quality of materials and components - retain the appearance and performance for several years. 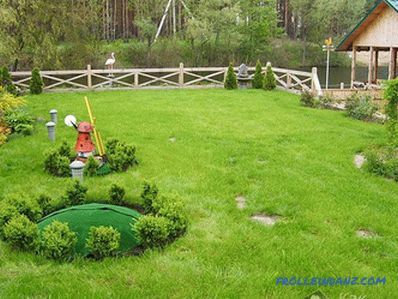 There is a possibility of retrofitting - instead of a standard watering can, you can install a rain shower and also completely cover the booth with a dome. Practicality - location, size and number of components are selected for maximum savings of free space. The thermostat protects against unexpected changes in the temperature of the water - if, for example, a cold tower is opened lower, then it will not become hotter in the shower. The antibacterial coating prevents fungus or mildew. Shelves are not designed for a large weight of accessories - if they are overloaded, they will move down the wall. High cost of components and their small amount in the market. The thermostat stabilizes the temperature of the water, so taking a douche from it will not work. Watering cans and a thermostat are sensitive to water quality — if there are no appropriate inlet filters, all equipment that comes into contact with water may soon fail. A shower stall for those who are looking for a high-quality product and are willing to pay the corresponding price for it. This design of the shower stall allows you to solve several problems at once, such as placing a hydromassage in it, the ability to use aromatherapy or arrange a real sauna in the bathroom. These are the best showers in terms of versatility, which will surely bring some variety into the routine procedure of shower reception. Closed asymmetric left-sided cabin with an acrylic pallet of 48 cm height. In addition to shelves, mirrors and a mixer, the standard equipment includes a rain shower head, lights, radio and nozzles for hydromassage. A relatively simple assembly process - if there is at least a minimal experience of such works, then there should be no difficulties with installation and connection to the network. Durable acrylic pan - withstands the weight of people of dense build without any problems. Integrated ventilation - so that the sauna does not form spontaneously inside the closed space. Convenient control panel, with a display on which the running mode is displayed. Sturdy sliding double doors of tempered glass - among other things, withstand the pressure of water from the hydromassage nozzles, if it does not fall on the person. Transparent doors - the decision to an amateur. For continuous operation of the injectors and other equipment, it is imperative to put a filter at the inlet to clean and soften the water. The jets require extra care so that they do not stagnate water. The dimensions of the shower stall make it possible to install it in a room of at least medium size, although you can also consider installing it instead of a bath. A classic closed corner shower cubicle in the shape of a quarter circle and with a full-wall fence. In addition to standard equipment, it is equipped with three massage jets, a watering can for a tropical shower, and forced ventilation. There is enough space inside for comfortable washing without clinging to the elbows of the walls or shelves for bathroom accessories. The back walls and doors are made of quality materials that are pleasant to the touch. The use of tempered glass ensures no cracks and chips. The acrylic tray with anti-slip finish keeps the temperature neutral - it does not heat up and is not cold when you just enter the shower room. A large number of additional functions that are controlled from the electronic panel. Two years of warranty service from the manufacturer. The quality of the compilation of the assembly and connection instruction leaves much to be desired. Without a water softener filter, the top watering can can be blocked in the first weeks after the start of operation. There are sporadic complaints about the occurrence of minor burning of the wiring. A shower stall designed for the most comfortable washing in conditions of lack of free space. Despite the compactness of the device, the manufacturer was able to ensure its full functionality - most owners recommend AM. PM Joy Deep to buy. Closed rectangular cab, for medium and large bathrooms - designed for installation near one of the walls, but if necessary, can be located in the corner. Additional functionality: lights, radio, hydromassage - everything is regulated from the electronic control panel. Attractive design for lovers of minimalism - all basic and additional functions are included in the standard rectangular shape, but without cluttering up the components. The design of the shower cabin is complemented by lighting, which makes the shower not only useful, but also beautiful. A stylish touch-screen control panel with a display that shows which functions are currently active. The acrylic tray with reinforced metal legs is a stable construction that can withstand a person weighing up to 150 kg. Separate faucets for overhead shower and standard watering can. Doors on loops - presented as a more practical and reliable device, but at the same time this design increases the number of sharp corners, about which you can catch on sooner or later. Fully transparent doors and side walls of the stall - for the amateur, especially when combined bathroom. Among closed appliances, this shower has one of the best combinations of quality and cost - if space permits in the bathroom, it will be a good choice. A closed shower with a base in the shape of a quarter circle with a full-wall fence and a low position of the shower tray. Double-wing sliding doors, made of translucent tempered glass. In addition to the standard functionality, it is equipped with a hydromassage of the legs and the ability to connect the phone (speakerphone). Clear assembly instructions - installation can be performed even by a non-professional. Easy to handle - all adjustments of water pressure, turning on / off the backlight, radio and telephone are done in an intuitive way. Low pallet - a person of any height and age can conveniently enter the booth. Many dealers provide free delivery and installation services (but the availability of such an opportunity must be specified separately). Warranty service period - 24 months. Over time, you may regret the insufficient size, if you like to take a shower together - this moment must be thought out in advance. If for some reason you need a remote control function, then this cabin is not equipped with it. The manufacturer successfully solved the problem of combining the highest possible functionality and quality for the lowest price. If this moment is one of the key when choosing, then Luxus 535 would be a good choice. The rating of the best shower cabins is rightfully headed by the combined models - in fact, this is an acrylic bath, which is a tray for a closed shower cabin. The result is a device in which you can swim or take a shower, depending on the desired water treatment. Typically, these showers are quite demanding to have free space, so be sure to calculate its presence - so that if necessary there is space for a washstand, a washing machine and other equipment that is located in the bathroom. 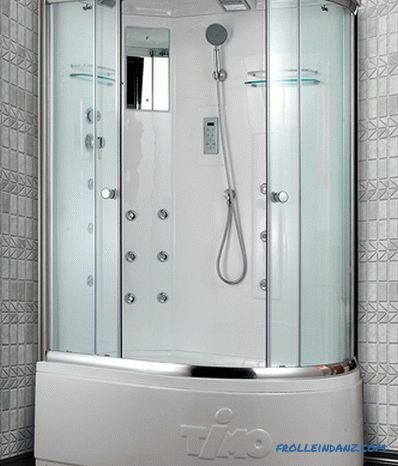 A multi-functional shower with spacious acrylic quarter-shaped tray. Equipped with nozzles for hydromassage of the back and legs, a watering can for a tropical shower, a radio and touch controls with a display. Dimensions and strength of the pallet - two people can easily fit in it and there is no backlash or backlash. 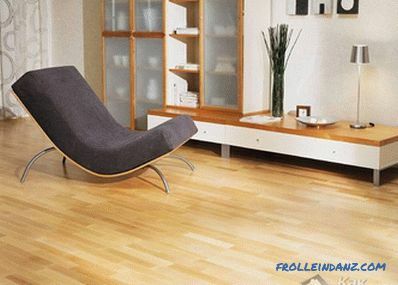 The antibacterial coating prevents the formation of mold or fungi. Reliability - a lot of feedback from users who use the Timo T-1155 for more than a year and do not express any complaints. The shower stall is adapted for a Turkish bath and similar procedures. Modern design - attractive for adults and children. The number of shelves in the basic configuration is not enough for the number of people who can use the booth. Not always there is an instruction - you have to search on the manufacturer's website. Since the shower is often placed deep in the house, a standard antenna can catch radio stations badly - if you plan to use this function frequently, it is advisable to use an outdoor antenna. 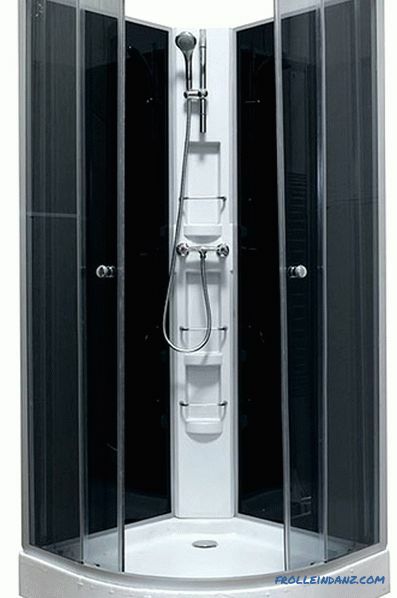 Brief Description Timo T-1155 is quality and versatility - if there is enough space in the bathroom, this is an excellent choice for showers and other water treatments. Combined shower cubicle of budget class, but at the same time the functionality is not inferior to TOP models. A high rectangular acrylic tray allows you to take a bath in the shower stall. Entrance to the booth through the double sliding doors of translucent glass. A multifunctional model with not the largest dimensions, if necessary it will fit in a bathroom of small and medium size. Equipment with modern functionality: hydromassage, radio, lights, telephone speakerphone, electronic control panel. One of the cheapest models among analogs. Semitransparent glass - allows you to use the booth even in the combined bathroom. 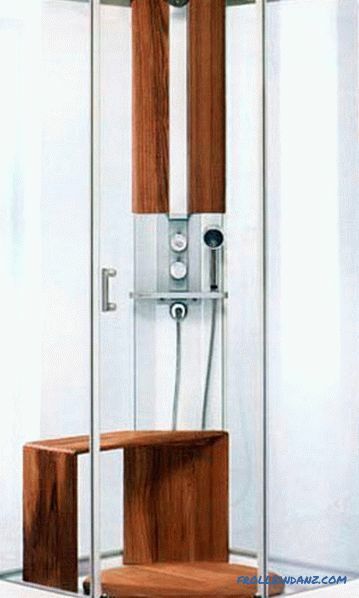 Spacious booth - you can freely turn and bend when taking a shower in it. 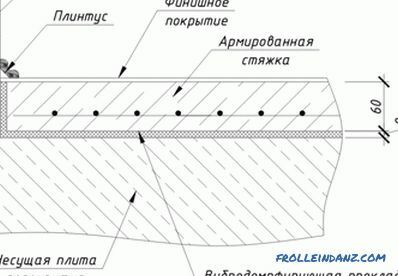 So as a shower stall, after all, is of budget class, then its operation depends strongly on the quality of installation - if the pallet is installed incorrectly, then its backlash and sagging is inevitable, even under relatively low weight. At this point, you need to pay special attention when buying. Before buying, you need to clarify how repairs are carried out - if there are no service centers nearby, this can be a big problem. The dimensions of the cubicle can cause problems when it is installed in a small room. 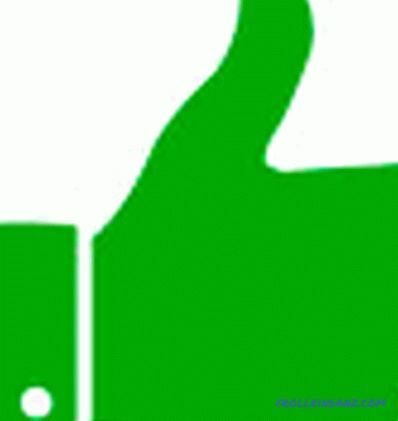 One of the best deals in terms of price and quality, if you pay attention to the disadvantages indicated by users. A rectangular enclosed shower cubicle with an acrylic bathtub, 60 cm high. Closed by double-wing sliding doors made of transparent tempered glass. It is completed with a mirror, a set of shelves, a classic mixer, hydromassage jets and a watering can for a tropical shower. Assembly can be performed without the participation of specialists - if you have at least minimal skills in working with tools, you can do it yourself. Full bath and shower in one device. The dimensions of the booth allow you to freely be in it together. Acrylic pan with high-quality aluminum legs - the whole structure is rigidly on the surface and does not bend under the weight of a person inside. The use of quality fittings is the key to a long life of the device. The side walls do not have reinforcement - they can bend when pressed. The radio must be manually tuned to the desired wave - there is no memory at the station. The Timo logo on the front of the pallet is too conspicuous. Quality fittings require the use of good water - you must put a softening filter. 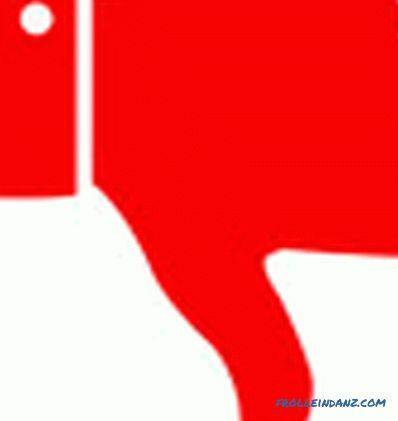 One of the models that practically do not collect negative feedback from buyers. 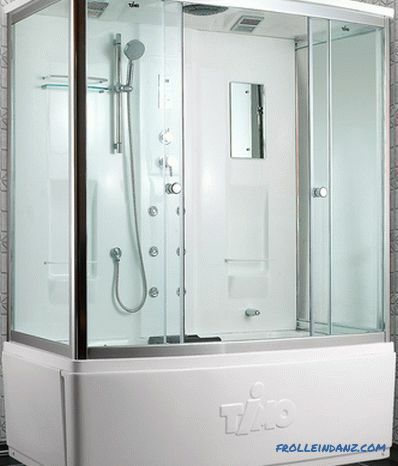 If the price is suitable and the size of the bathroom allows, then Timo T-7770 is a worthy choice that will please the owner with the quality of his work for a long time.